Crime Fiction in German is the first volume in English to offer a comprehensive overview of German-language crime fiction from its origins in the early nineteenth century to its vibrant growth in the present day. As well as introducing readers to crime fiction from Germany, Austria, Switzerland and the former East Germany, the volume expands the notion of a German crime-writing tradition by investigating Nazi crime fiction, Jewish-German crime fiction, Turkish-German crime fiction and the Afrika-Krimi. Other key areas, including the West German Soziokrimi (social crime novel), women’s crime writing, regional crime fiction, historical crime fiction and the Fernsehkrimi (TV crime drama) are also explored, highlighting the genre’s distinctive features in German-language contexts. 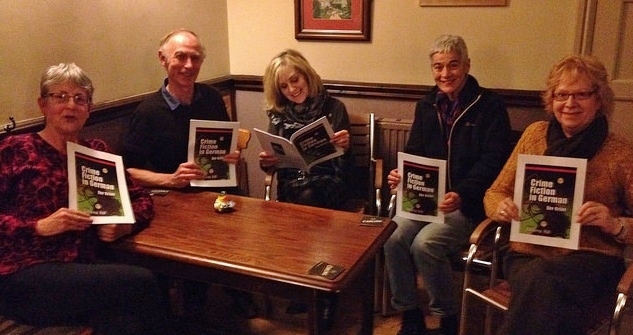 Brynmill Bookgroup members with their free chapter! Chapter 1. Katharina Hall, Crime fiction in German: Concepts, developments and trends. Overview: Der Krimi; The pioneers (1828–1933); Crime fiction under National Socialism; (1933–45); Early post-war crime narratives (1945–59) and East German crime fiction (1949–70); The West German Soziokrimi (1960–) and later East German crime fiction (1971–89); Turkish-German crime fiction and the Frauenkrimi (1980–); Historical crime fiction, regional crime fiction and the Afrika-Krimi (1989–); Crime fiction of the new millennium and the lacuna of Jewish-German crime fiction. The volume also includes extracts from primary texts, a chronology of crime fiction in German, a map of German-speaking areas in Europe, and an annotated bibliography of resources on German-language crime fiction. All German-language titles and quotations are given in German and English, and a significant number of the crime novels covered are available in English translation. Further information about the German in Crime Fiction volume and the ‘European Crime Fictions’ series is available on the University of Wales Press website. Review (in German) of Crime Fiction in German, Thomas Przybilka, culturmag.de, 15. August 2017. ‘Diverse German Criminality’, P.D. Smith, Times Literary Supplement, 2 September 2016. ‘Reference Book to Treasure – Crime Fiction in German (Der Krimi)’ by Marina Sofia at her blog findingtimetowrite, 20 April 2016. 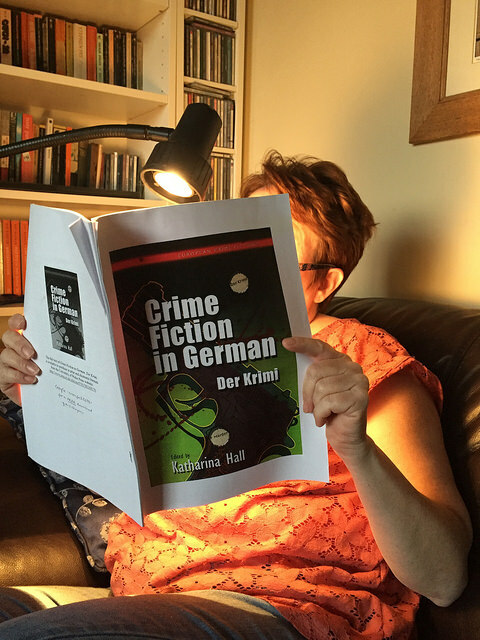 ‘Crime Fiction in German (Der Krimi), edited by Katharina Hall’, by Lizzy Siddal at her blog Lizzy’s Literary Life, 14 April 2016. 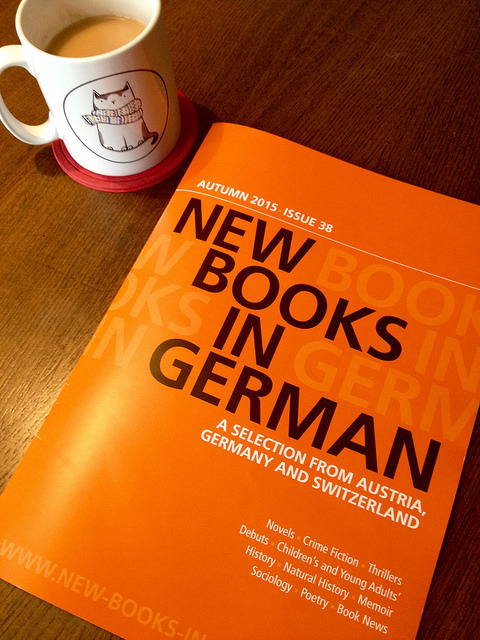 ‘Crime Fiction in German – Interview with Mrs Peabody’ by Lizzy Siddal at her blog Lizzy’s Literary Life, 16 April 2016.
co-authored with Marina Sofia, ‘Oktoberfest special: German Historical Crime Fiction’, CrimeFictionLover blog, 6 October 2015. ‘Criminal bars’, review of Lynn M. Kutch and Todd Herzog (ed.) Tatort German: The Curious Case of German-language Crime Fiction, in the Times Literary Supplement, 19 August 2015 (behind paywall). And ‘What got you hooked on crime, Mrs. Peabody?’, part of a regular series hosted by Marina Sofia over at findingtimetowrite. Oh, Mrs. P, this looks fantastic! Very much looking forward to reading it! Very interesting. Mary Tannert’s book of early German crime stories is enjoyable and I very much look forward to this one. Hello Martin – I enjoyed Mary’s book too, and was thrilled when she agreed to contribute a chapter on early German crime fiction to the volume, as she’s so hugely knowledgeable. Will you be at CrimeFest? I’ll bring along some copies (the volume’s published in March) and you can have a closer look then if you like.